When looking for a kitchen fitter in Tonbridge, it’s important to take a number of factors into consideration. Whether it’s cost, reliability, reputation, or experience, you should never compromise on the level of service you wish to receive. With AC Installations, you can rest assured that we meet the full range of selection criteria for a kitchen fitter in Tonbridge, with the range of services we provide supporting clients from start to finish. We believe that it’s important to discuss in detail the precise requirements of any project before work gets underway. That’s why, when you contact AC Installations, we’ll take the time to talk through the hopes and ambitions you have for your new kitchen. 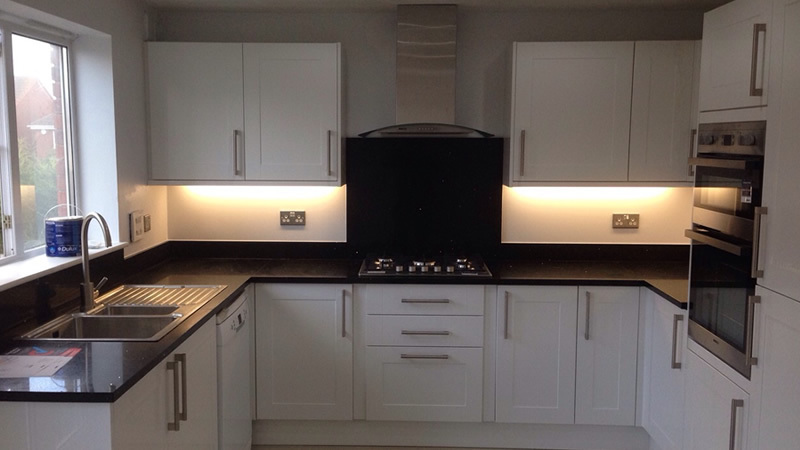 Only then will we provide a competitively priced quotation and take the initial steps to installing your new kitchen. For over 20 years, AC Installations has been working with the leading kitchen manufacturers and fitting kitchens across Kent and the South East. Our network of clients is extensive, and we have worked on projects large and small. In addition, we are fully Kent County Council Trading Standards Approved, and encourage past customers to leave reviews of our work on such renowned websites as Check a Trade and My Builder. As such, we aim to be completely open about the standard of service you can expect. To find out more about how AC Installations can meet your kitchen fitter in Tonbridge requirements, contact our friendly team on 07718 622940 today. We’ll be happy to discuss your potential project, and identify any associated costs to completing the work.